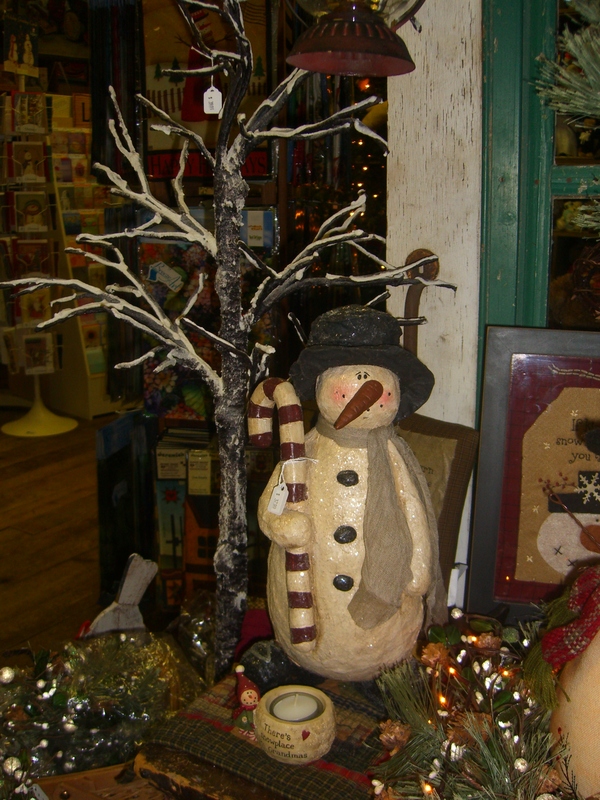 We are in the process of packing up fall decor and unpacking winter and Christmas items. Changing of the seasons reminds us that our lives are everchanging and each day is a gift. We might be a little sad to see something pass by, but how exciting what is coming just around the corner! Changing out can be just like at home — right now the store is a bit of a mess with boxes and bags of goodies on the floor. Everyone has been patient with this temporary look — for just a couple more days. But, just take a look at these photos to see how everything is coming together. 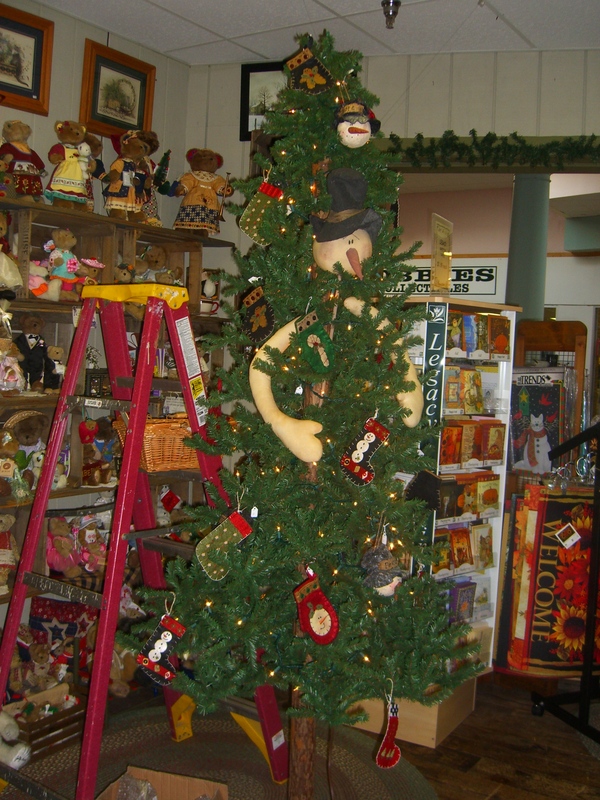 Our 8 foot tree is getting decorated with a snowman tree hugger taking it all in. 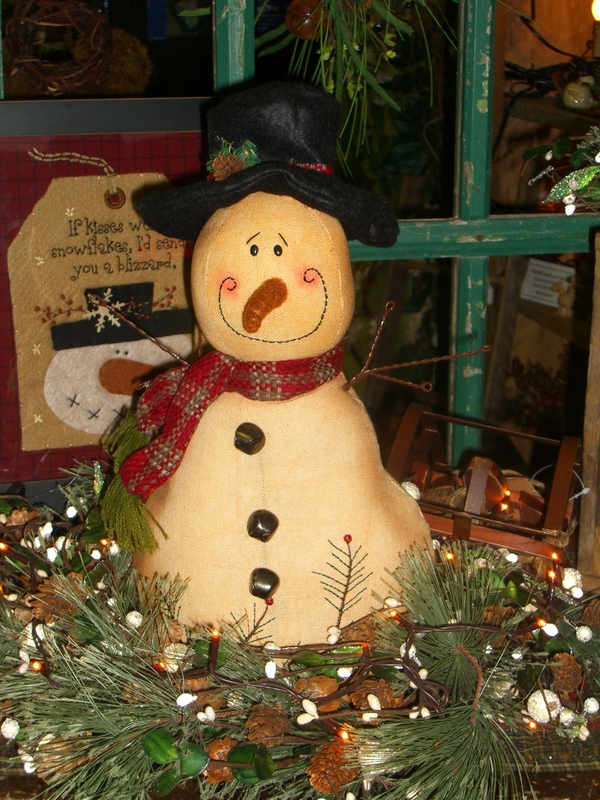 These happy snowmen are greeting customers at our entrance. 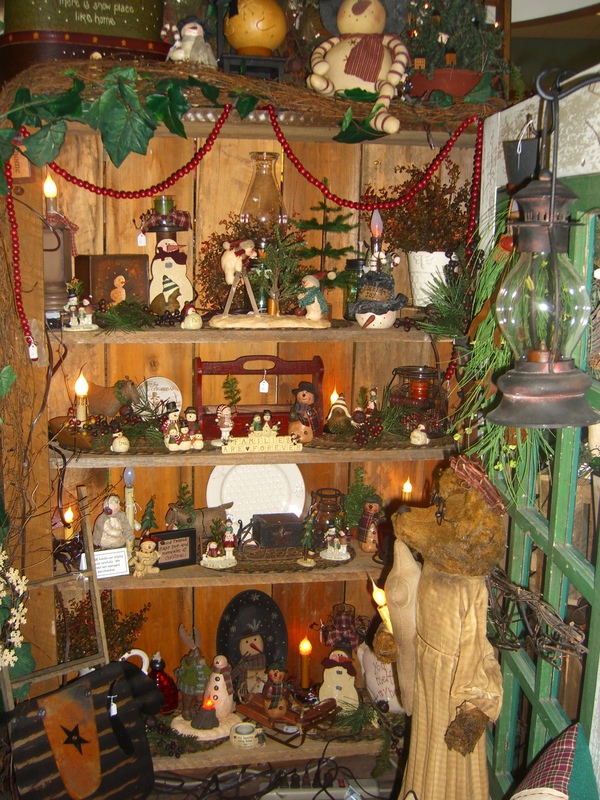 The potting shed is being transformed with many decor and gift possibilities. Come by and take advantage of our flag early buy sale thru November 15. We have a great selection of garden flags, standard flags and mailbox covers right now. Thru Monday, buy one flag or mailbox cover at regular price and get a second regular priced one at 50% off. You can mix or match styles or designs (a mailbox cover and a garden flag for example) with the lesser priced one at 50% off. We have had a sampling of Christmas cards out for awhile . . . now we have all of them on the shelf and beginning this Saturday (November 13) if you buy 2 boxes, get 5% off and 3 or more boxes, get 10% off. We will keep some fall and Thanksgiving items out thru that holiday. Other fall things were put away, but not too far. If you need something for your Thanksgiving decor, just ask and we may be able to put our hands on what you are looking for. Keep checking back here for updates, and heads up on specials we are having this season. Tomorrow is Veteran’s Day. We want to thank those who have served and continue to serve in our country’s military.